Because the author included the average UK worker income, I thought that the key insight would be to see how the salary growth in each level compared to the growth in the average worker salary. Are the salaries in each level growing at about the same rate as the average worker, or are we seeing much higher growth at the top levels, as we see in the overall population. 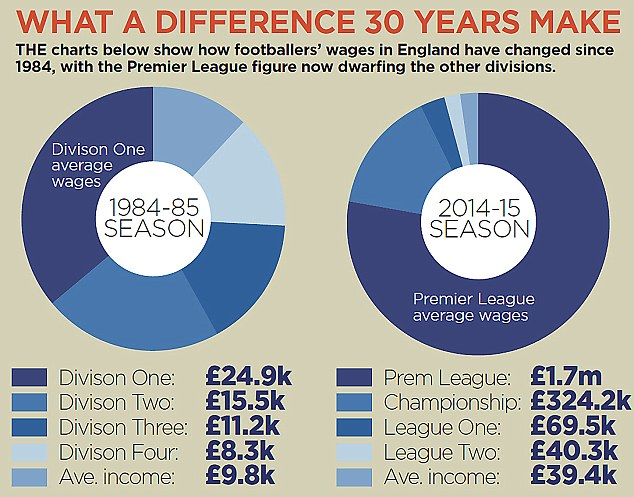 The bottom two levels of UK professional soccer have salary growth just higher than that of the average worker. The top two levels show growth more than double and triple that of the average worker. The conclusion? 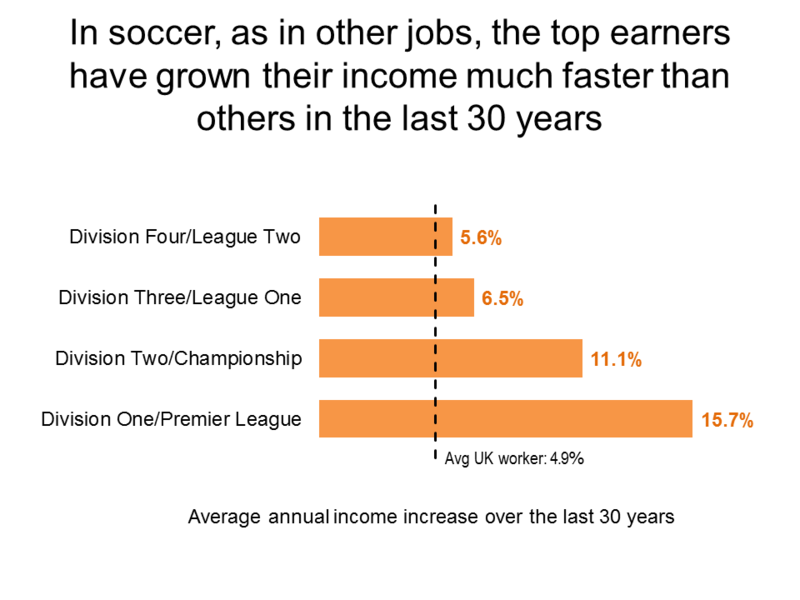 In soccer, as in the general population, we are seeing much higher income growth at the top levels.